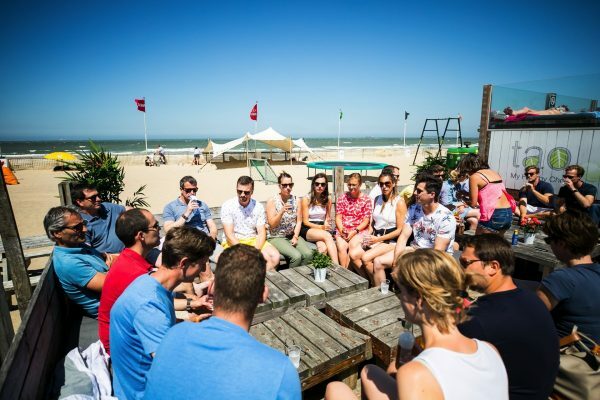 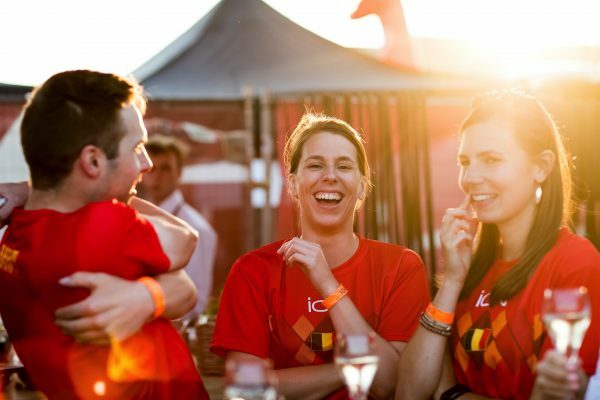 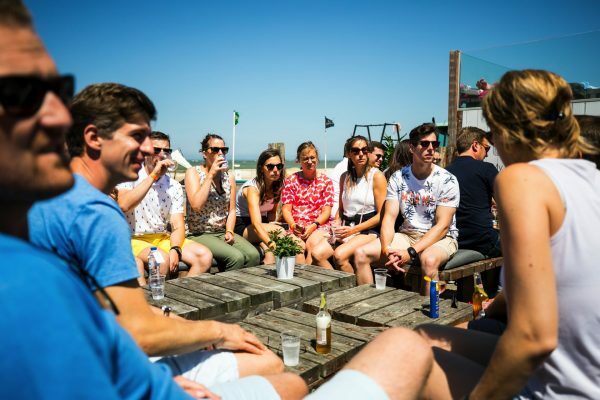 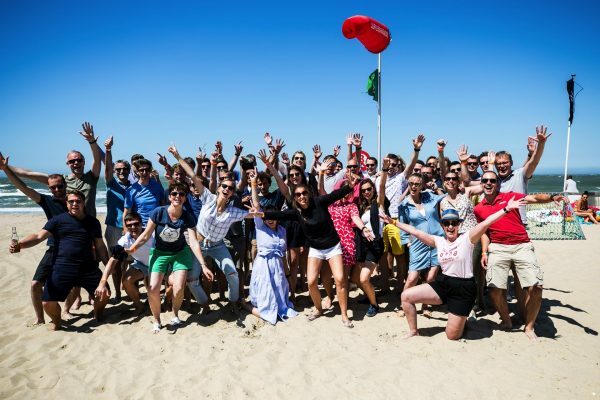 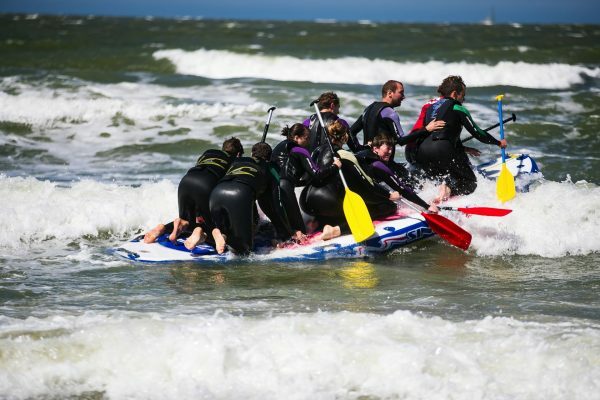 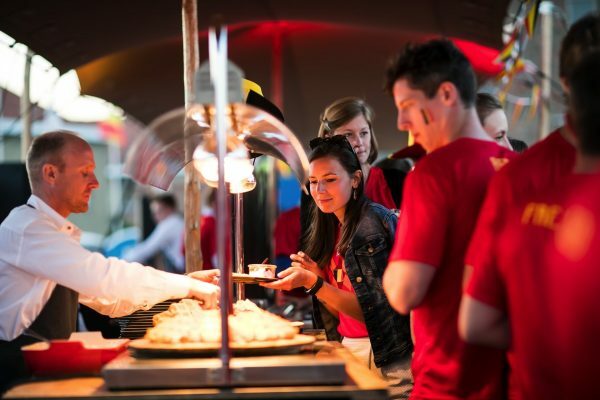 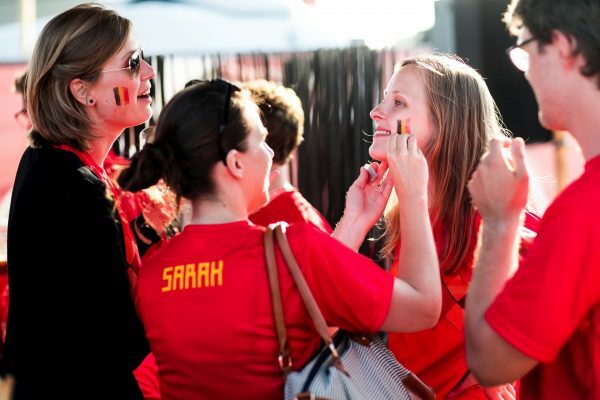 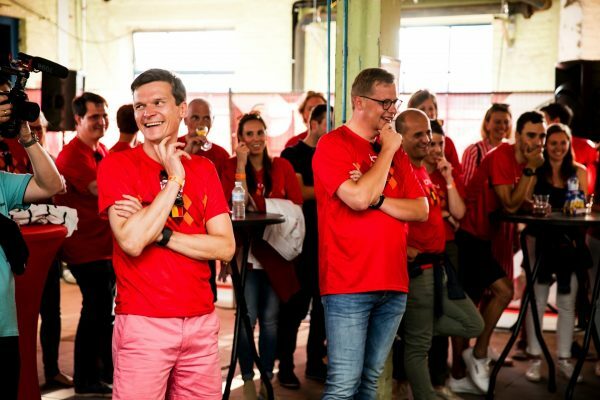 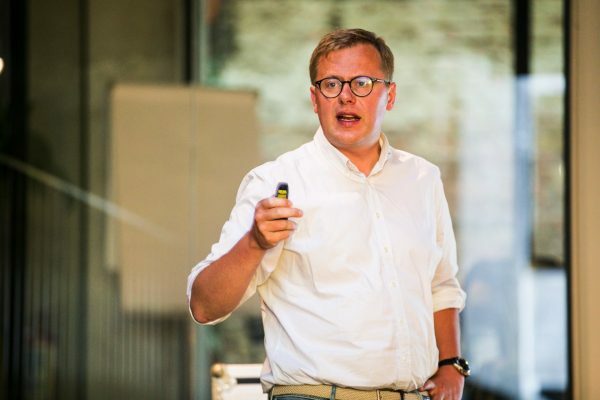 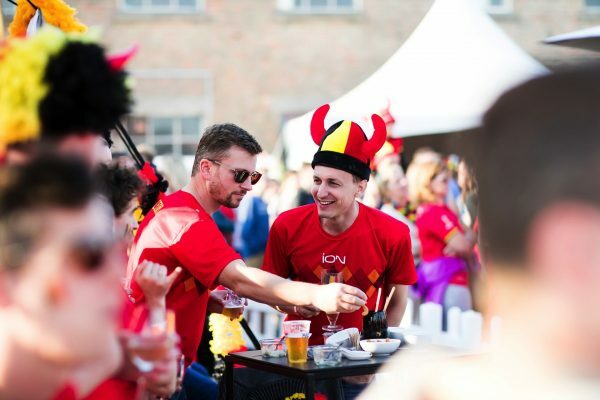 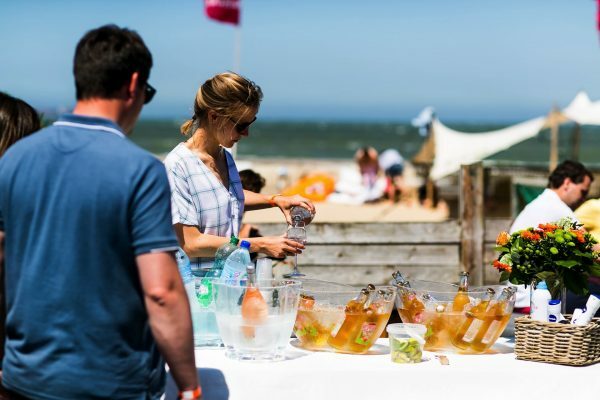 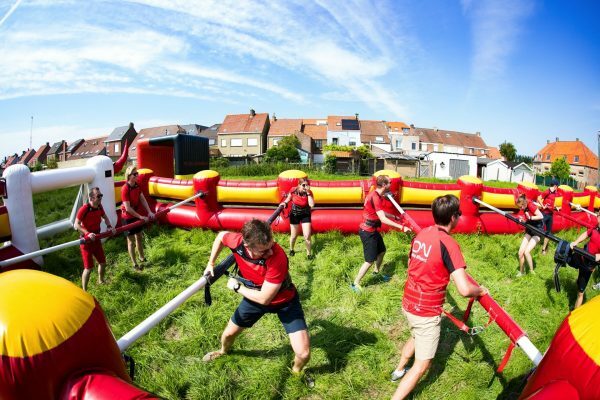 A team building event during the World cup, that means… a great atmosphere! 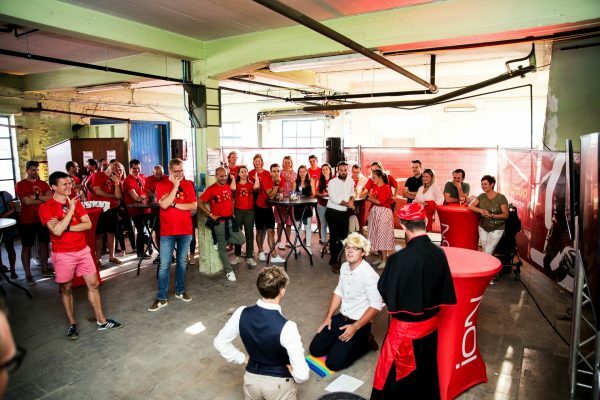 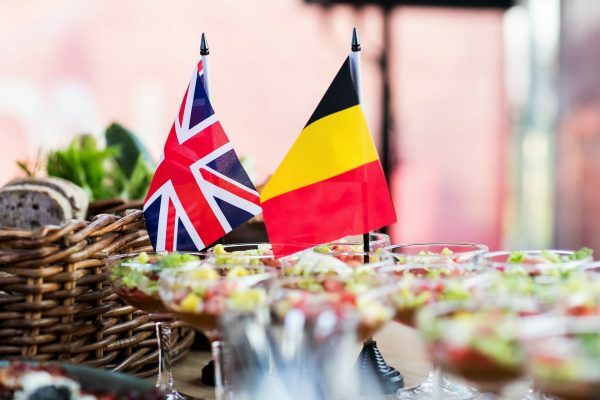 The 50 ION employees celebrated the Red Devils' match against England like VIPs. 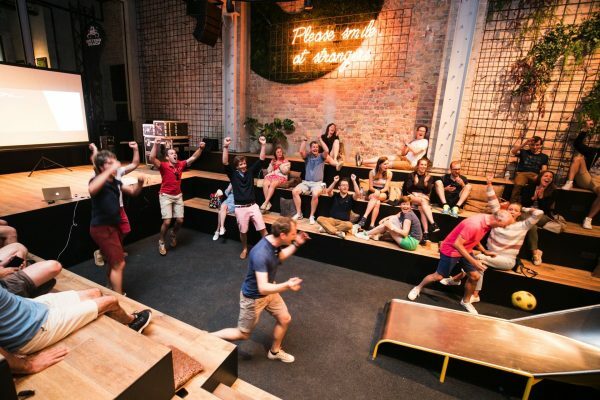 Fast Forward turned it into a unique experience. 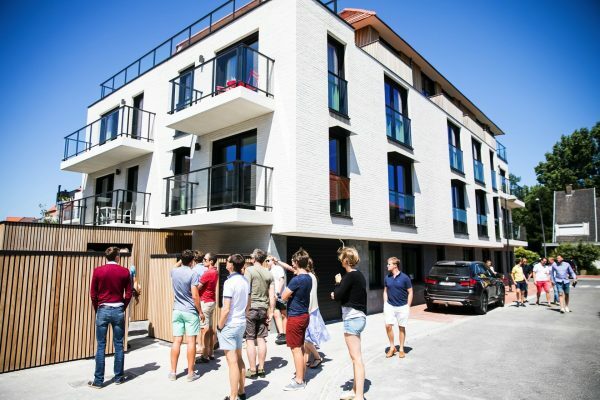 "From the construction site to the World Cup village. 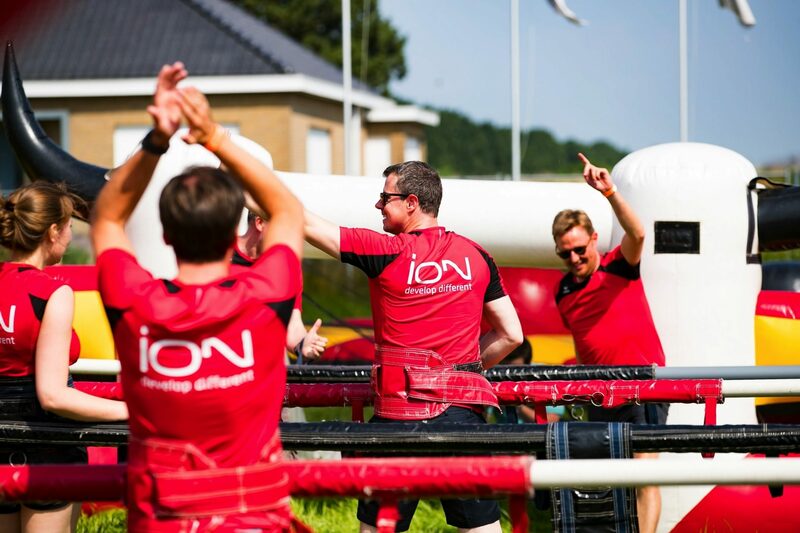 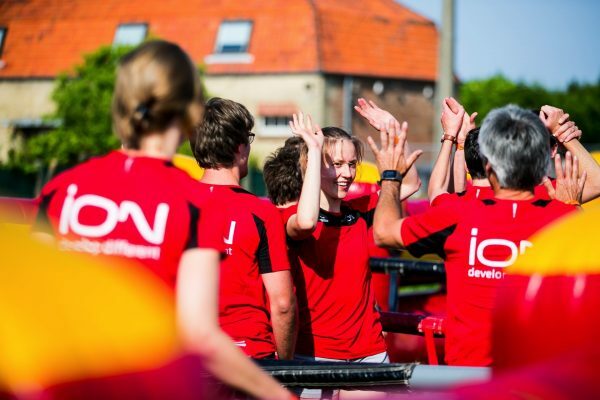 That was day 1 of the ION team's two-day team building event. 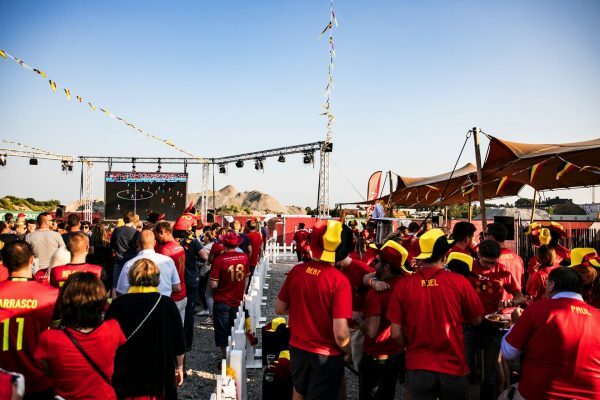 First a quick look at the site projects of colleagues, and then football. 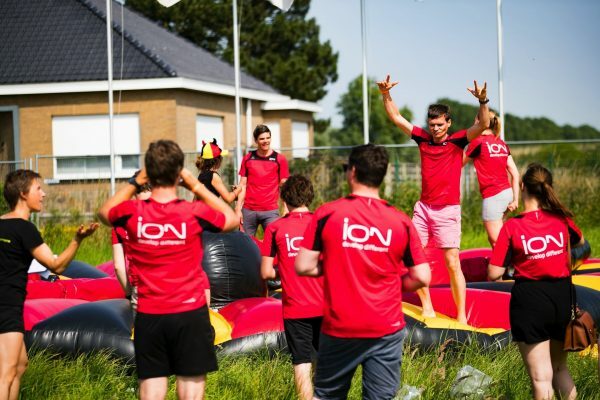 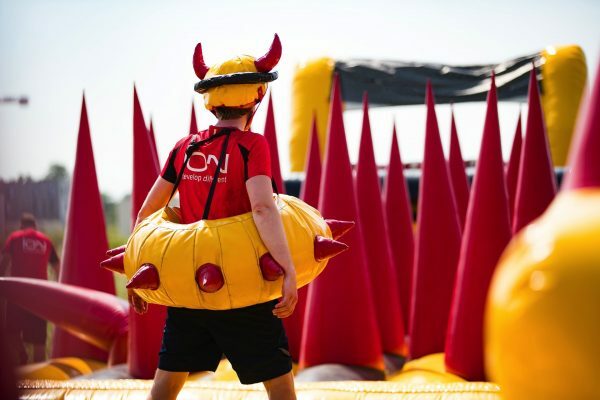 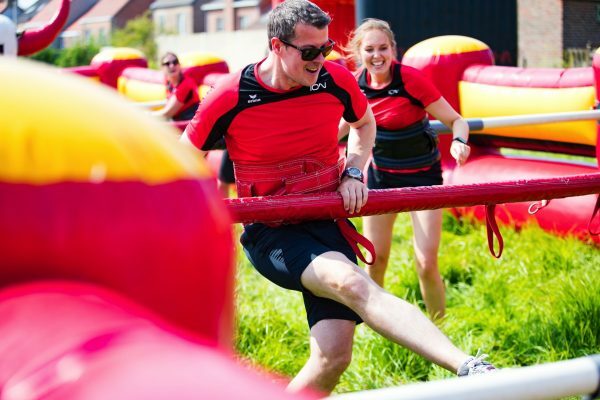 In the Red Devil Inflatable Village different teams challenged each other to an intensive game. 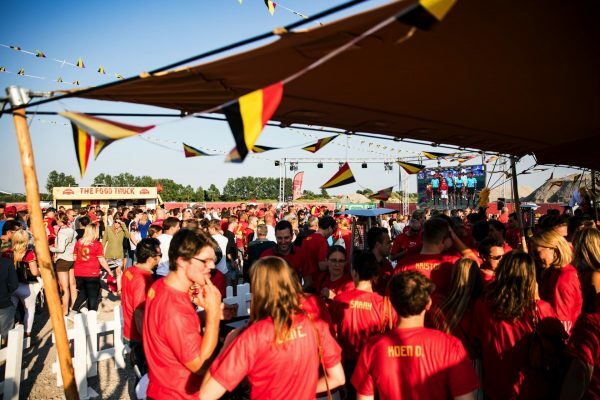 Later, in the World Cup village the whole group was glued to the screen for the match, in personalised T-shirts, and a big selection of Belgian and English food. 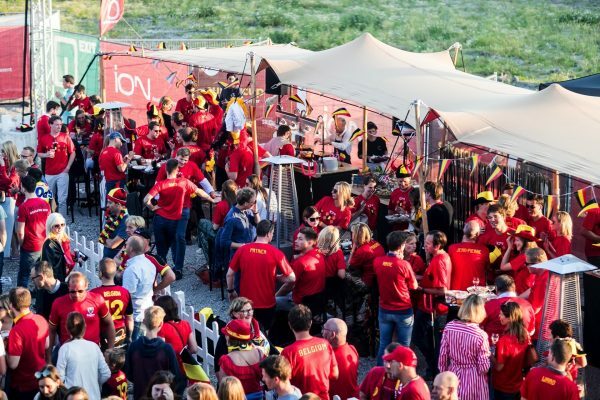 The Belgian victory only made the party atmosphere better. 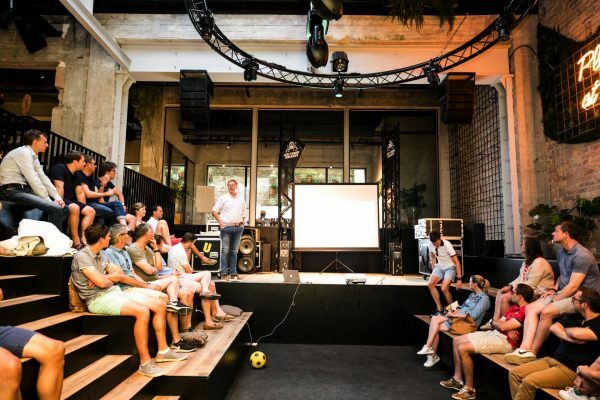 Day 2 started with a presentation between the slides of an old swimming pool and another site visit. 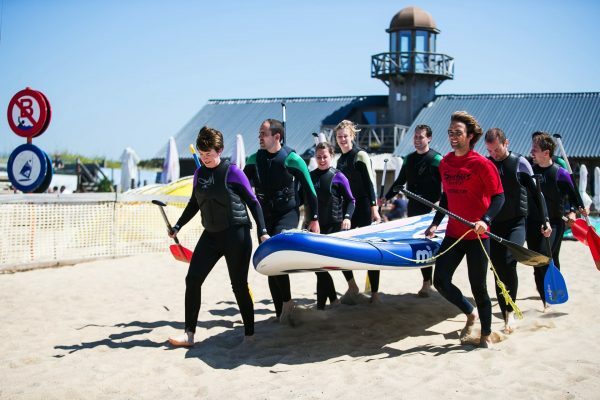 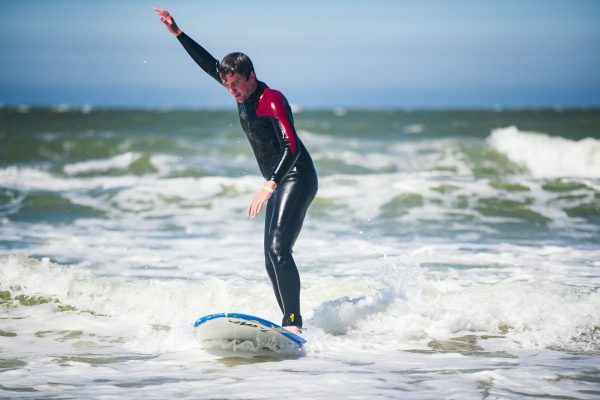 Then they went to the beach for a chilled-out afternoon with barbecue and activities such as power kiting, golfsurfing and supzilla. 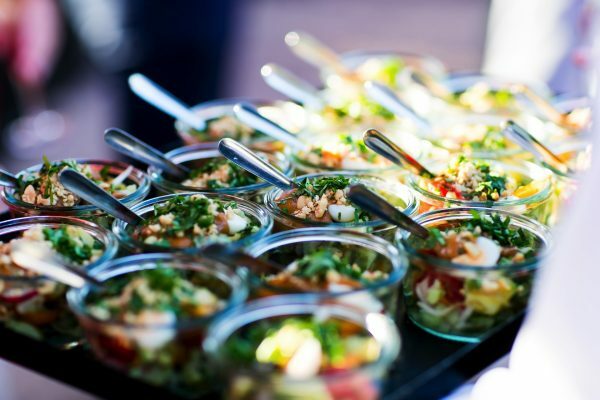 On their return home, everyone was given a picnic basket of summer-proof goodies.